Contributor: Richard Green. UFC 104 was held on Saturday night, and frankly, my shock has yet to wear off. The main event pitted Pride Fighting Championship wunderkind Mauricio “Shogun” Rua against the inscrutable Lyoto “The Dragon” Machida. Machida entered the bout a heavy favorite. He had never lost a round in the UFC, let alone an entire fight. In the aftermath of the dismantling of former-champion Rashad Evans at his hands, many declared that the “Machida era” had begun. Apparently, Mauricio Rua never got the memo. 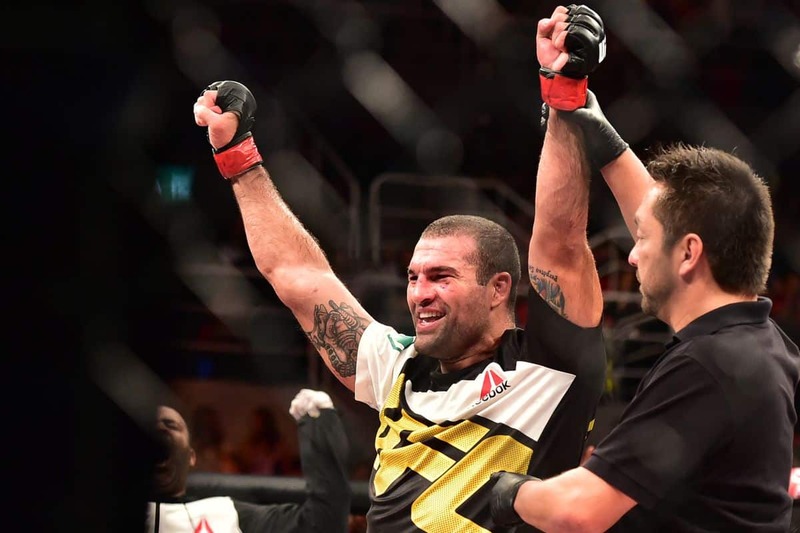 For twenty five minutes on Saturday night, Shogun Rua showed us the form that made him the best light-heavyweight (“middleweight” in Pride) in the world just a few years ago. He peppered Machida with leg kicks throughout the five round fight. He pressed the action from start to finish, initiating exchanges with the champion, throughout. And in addition to leaving welts all over Machida’s legs and flanks, he opened a decent cut on Machida’s lip. No, he did not demolish Machida. Neither fighter ever appeared to be in any real danger of being stopped. But there can be no debate. By any reasonable judging criteria or standard, Mauricio Rua won that fight. He took what his opponent gave him, a strategy used to brilliant effect throughout his career by Machida, who, until Saturday, had suffered more cuts shaving than fighting. And yet, Machida, whose trademark counter-striking was almost entirely ineffective, who did almost no damage in the fight, whatsoever, walked out of the Octagon with the decision. The implications of Saturday’s fight will be far-reaching. I agree with those that say that the credibility and legitimacy of our sport has suffered a blow. And I hope that what transpired will serve as a catalyst for some reform of MMA’s misplaced, ineffective scoring system. But those are stories for another time. We must never lose sight of the fact that MMA is not a video game or a TV show. These are real men that break and bleed for our entertainment. And the enormity of their sacrifices necessitates that the judges get it right. What must this fight have meant to Mauricio Rua? A few short years ago, he was regarded as one of the very best fighters in the world. He took out Rampage Jackson in under a round. He stopped Alistair Overeem. He stopped (and outgrappled) Ricardo Arona. He was creative. He was dynamic. And, he was fun to watch. Then he got hurt. First, it was a freak injury to his elbow. Then Rua suffered a major knee injury. After surgery, he injured the knee again. The injuries seemed to have robbed him of his dynamism. More recent fans of the sport recall his lackluster UFC performances against Forrest Griffin and Mark Coleman. Imagine when Rua found out that he would have an opportunity to fight for the UFC belt, with the man everyone was calling unbeatable. He must have been keenly aware of all the rewards and opportunities that come with being a champion. He trained for four grueling months to prepare for his opportunity. He trained on balky knees. He trained early in the morning and late at night. He trained on weekends when others were relaxing or spending time at home. Shogun’s brother, “Ninja” Rua, also a mixed martial arts fighter, canceled his own bout to help his brother prepare. For them, this was to be the opportunity of a lifetime. A chance to show that at least for one night, Mauricio Rua could be the very best fighter in the world. A chance for Shogun to bring the championship belt home to his hometown, his teammates, and his family. Surely, Rua must have smiled to himself as he waited on Saturday for the moment when he would be announced as UFC champion. But his moment never came. UFC President Dana White has called for an immediate rematch. This is a given. All anyone can offer Shogun is another crack at slaying the Dragon. But Rua shouldn’t have to beat Machida twice just to win once. These athletes work too hard to be told “We’ll get it right the next time.” And there are no guarantees that Rua can repeat the feat he pulled off at UFC 104. Machida is an immensely talented and cerebral fighter, even if Shogun dispelled forever the aura of his invincibility. Machida will be prepared for Shogun’s game plan the next time around. His coaches, his father, and his training partners will see to that. And so, sadly, there is no giving to Rua the things he lost on Saturday. His victory inside the cage only earned him a chance to try again. Sometimes you get what you deserve. Sadly, sometimes you just get what you get. Shogun’s performance on Saturday night reminded me what I like so much about our sport: its honesty. When the cage door closes, the athletes decide who wins the fight. They decide with sweat and blood, fists and feet, knees and elbows. The one that wins the fight has his hand raised at the end. At least, that’s the way it’s supposed to work. But not on Saturday.